If you are a busy parent, you likely rely on your smart phone or pocket camera to capture the events of your daily life, especially at holiday times. But sometimes you want a little bit more than just the usual snaps, without the hassle of your bulky DSLR. There are some days when you often wish you had the time and ability to take meaningful photos of your family and capture special, magical times. Not the phone snaps that mostly end up as blurry images, but the ones that evoke emotion and feeling, and make new memories. There may be times when you wish you had a handful of quality photos as opposed to a hundred unrecognizable snaps on your phone or pocket camera. This article has nothing to do with awesome DSLRs, it is about using the camera that you have with you to document fleeting moments of your family life. But it’s different from just snapping away without a little artistic vision. Instead, it’s about about seeing differently – with a creative eye, and most importantly, having fun doing so. Remember preparation is key, even if a lot of it is mental preparation and you only devote a few minutes to it. It gets you thinking and creative juices flowing. Christmas is just around the corner so let’s start get started creatively capturing Christmas at home in 10 images using the humble point and shoot pocket camera. 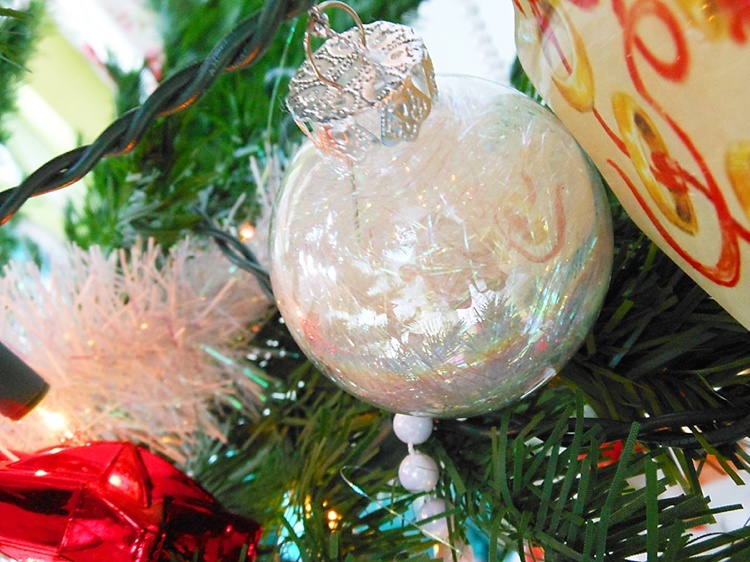 Think of a simple theme (decorating a Christmas tree, making a Christmas card or décor, decorating a cake, etc.). Choose a subject – a person, little or large. Find a location or corner in your own home and de-clutter the area. Choose a spot with ample light, or a light source such as next to a big window, lamps lit up, tree lights, or better yet just outside the house. Select the macro or close-up scene mode. 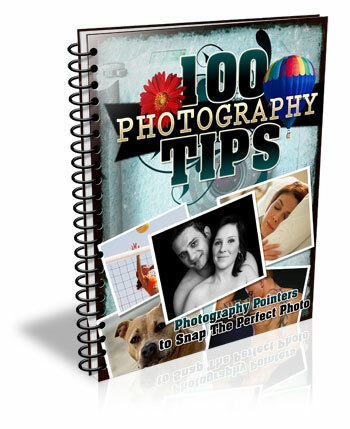 Turn your camera flash OFF as direct flash flattens the image and removes contrast making your photograph looking very two-dimensional. You want a play of light and shadow going on in your image to make it more interesting. 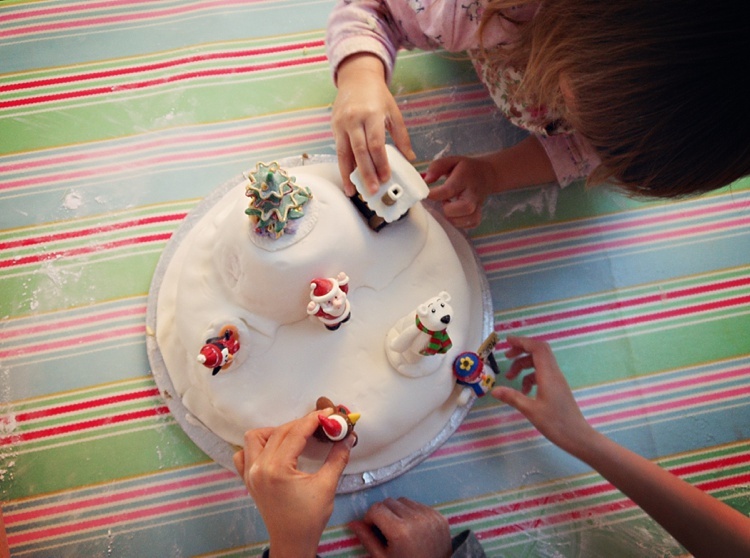 Set the scene up as a fun activity with your family. Top tip: When taking the photo, tuck both arms in, stay steady or lean on to something if that helps, and hold your breath as you press the shutter (some say press the shutter as you exhale but holding my breath works better for me). Get ready to take photos. Wait for your moments. Take your time. Don’t snap loads of photos, rather try looking at the scene with an artistic eye. Remember you are only after 5 photos that tell a mini-story. 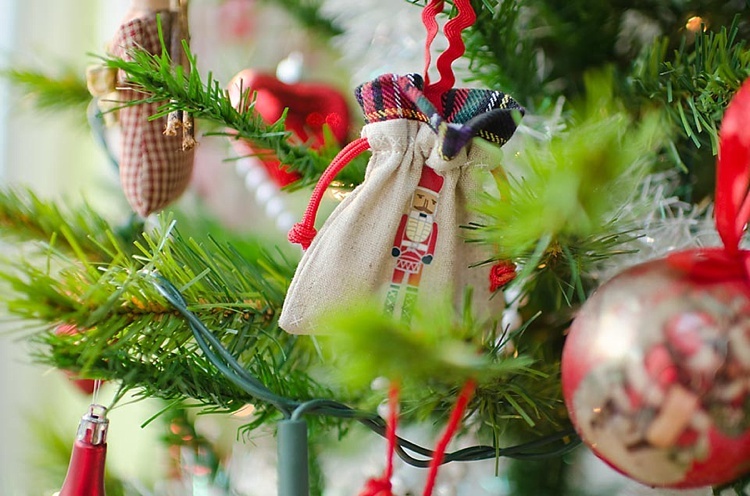 Choose a Christmas decoration in your home. Get really close to it and shoot at an angle so you need to tilt your camera. Shooting very close or with a wide aperture can help achieve nice blur (bokeh) in the background. In macro mode, shooting a scene that has several focal planes helps in achieving some bokeh. Include beautiful blur in the background, or use blur as the subject of your photo. Make sure your subject is at some distance, and in front of the light source. Press the shutter while your camera is still focusing. This way you get intentional blur even while using the automatic mode. 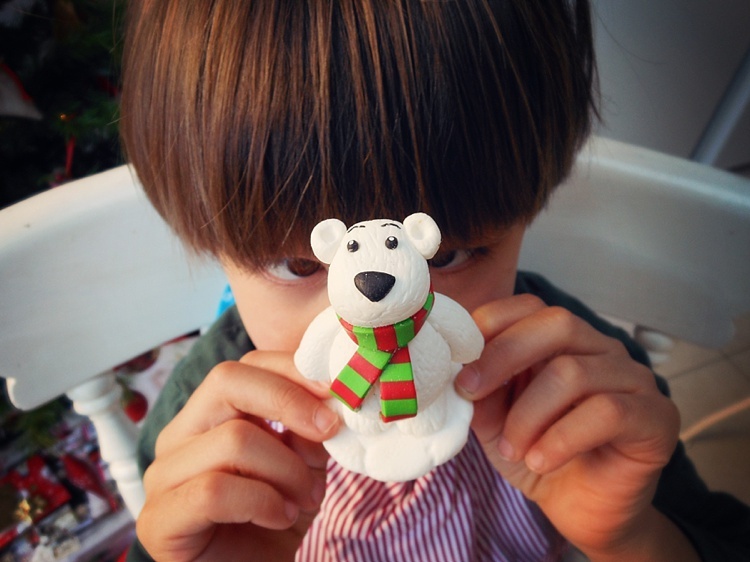 Choose a very simple activity, for example, ask your child to put a decoration on the tree. Tilt your camera, and fill the frame focusing in on the action. Avoid empty spaces in the background. You will have a more dynamic photo if you go close and fill the frame. Make sure there is ample available light, then photograph a reflection instead of the subject. 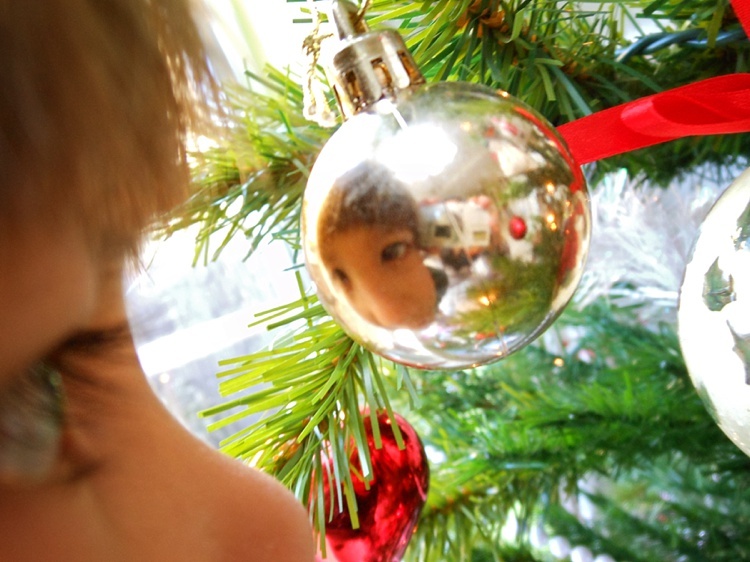 Try to use a mirror, or any reflective object like a bauble, to frame your subject. Ask your subject to lie down under the tree and play with the baubles. Crack some jokes or tickle tummy and toes to get some genuine expressions. Make sure that the light from the window is illuminating your subject’s face so there is light in their eyes. Set the scene, the photos below show a Christmas decorating activity. Get everything ready. 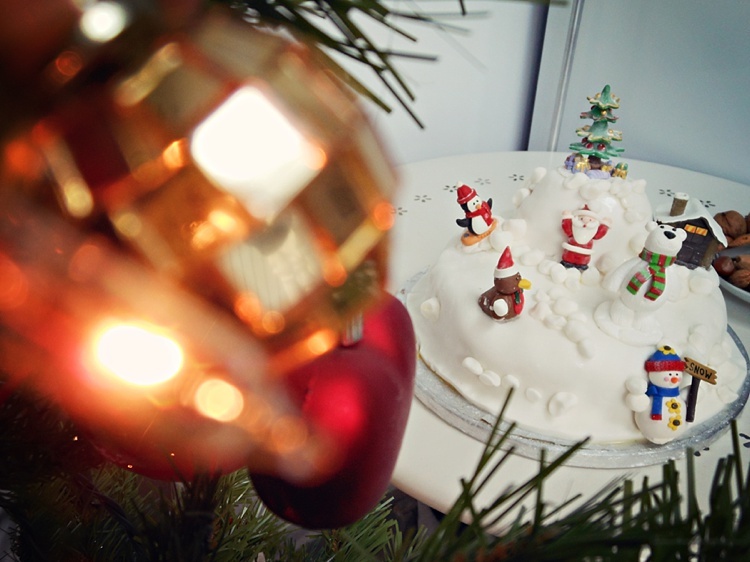 Buy a Christmas cake if you haven’t had the time to bake one. Choose the look (outfits and colour scheme), as you want some sort of coordination so that there is a focus. For example, if the cake is colourful, you may want to put plainer aprons or outfits on your kids, so that there is contrast and focus, and vice versa. Limit your colour scheme to three or four colors, so there is some sort of harmony and cohesion. Try not to go too matching though. Make it a fun activity, but explain to the children that there is a process to follow to ensure a successful outcome, therefore they must allow time for each process. In your head, plan to document this process. Give them a sequence of stages so they look forward to the next step. Set your camera to portrait or macro. The automatic settings for these in-camera include a wide aperture so lots of light enters the lens, and a slower shutter speed which allows in more ambient light. The danger here is blur, but you can use that creatively too. To counteract blur, try to be very still, and hold your breath as you press the shutter. You can also steady yourself against a table or wall. In this case, it’s the bare, undecorated cake. One of the ways you can shoot editorially is to take the photo from a bird’s eye view. 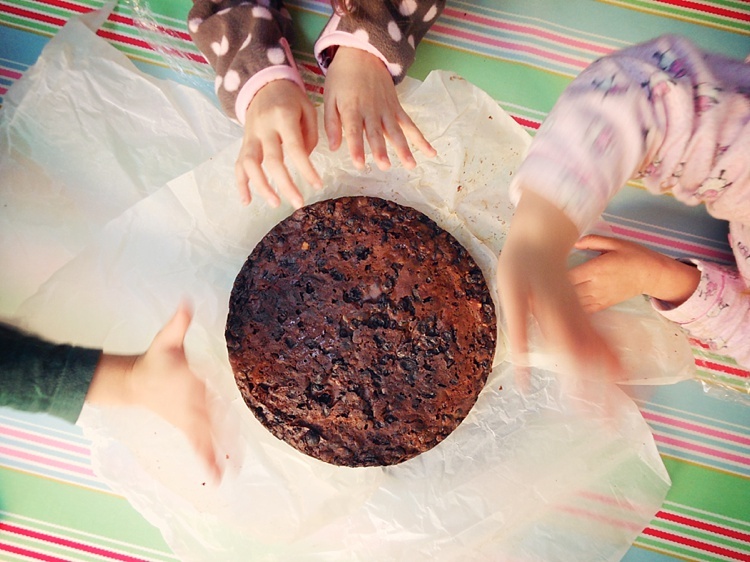 To make it interesting, rather than just photographing the cake on its own, get the kids to wave their hands on top of it for some energy and action. 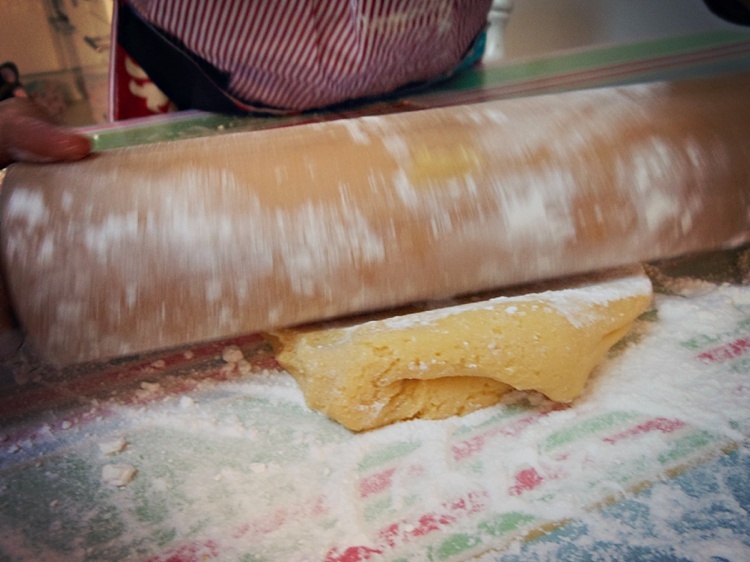 The blurry action creates an effective contrast to the still cake. 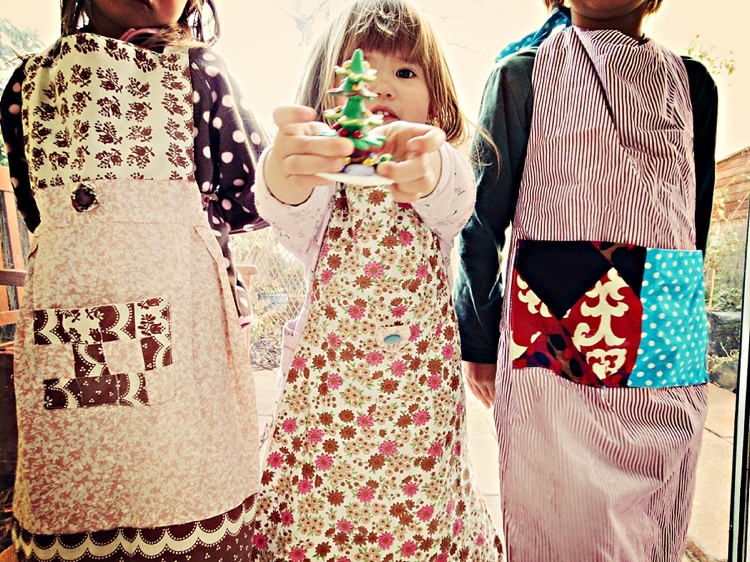 Take a photo of the kids kitted out in their aprons or outfits you planned for earlier, remember to try and capture expressions. You can introduce the kids by taking a more traditional front view image, or employing some creative cropping for a more interesting take. Details are so important in telling a story, enhancing memory, and evoking emotions. Choose special, or key items in the process to focus on, and photograph them close-up. Avoid too many empty spaces in the background. A full frame engages the viewer more in this case. Movement and blur add so much dynamic and energy to a photograph. They strengthen a story and allows for fun moments too. 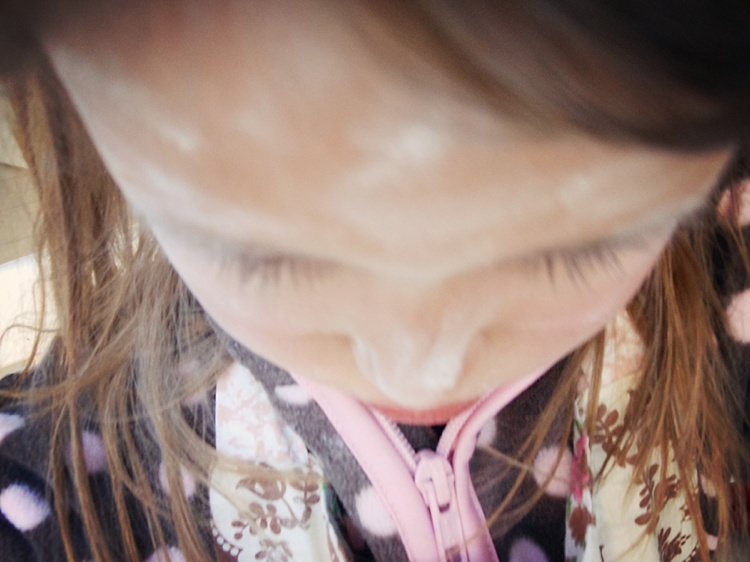 Talking about fun, allow some silliness in the process, such as painting their faces with a bit of flour, writing their names on flour, waving decorations around while singing Christmas tunes, etc. Make it an experience, not just a secret photoshoot! 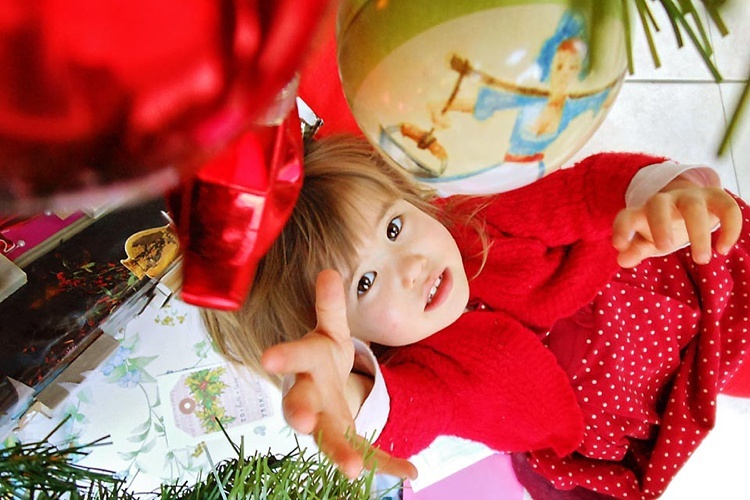 So there you have it, 10 creative photos capturing some Christmas joy in your home. 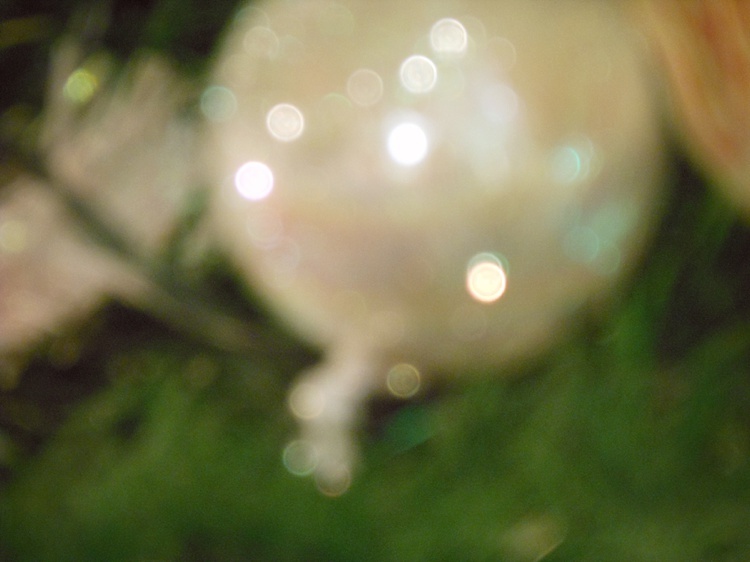 Do you have any tips for photographing the Christmas spirit in your own home, or images to share? Share them in the comments below. The post Tips for Capturing the Holiday Festivities at Home so You Can Enjoy Them Too by Lily Sawyer appeared first on Digital Photography School.